The long maligned Brussels sprout is now the cool kid in class, being roasted, pan seared and sautéed in restaurant and home kitchens alike. If shredded super thin — either by hand or with a mandolin slicer — you can even enjoy them raw in a salad. Read on for advice on how to shop for, store and prep the adorable mini cabbages. Brussels sprouts are occasionally available on the stalk, especially at farmers’ markets. The stalk version certainly has some drama, but it’s perfectly fine to buy Brussels sprouts loose. Look for bright green heads that are firm and heavy for their size. The leaves should be tightly packed. Avoid Brussels sprouts with yellowing leaves, a sign of age, or black spots, which could indicate fungus. Smaller Brussels sprouts are usually sweeter and more tender than larger ones. Cold concentrates Brussels sprouts’ sweetness, so they tend to taste better after the first frost. If you purchase Brussels sprouts on the stalk, cut them off before storing. Otherwise, leave Brussels sprouts intact until you’re ready to cook them. 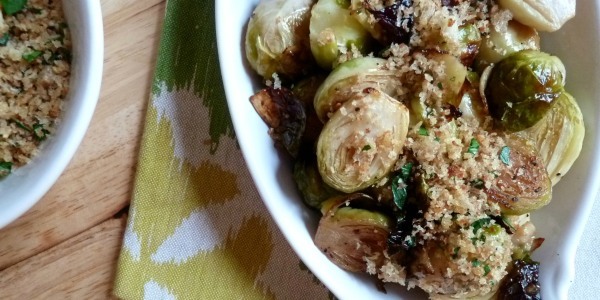 Place Brussels sprouts in an uncovered bowl or container in the refrigerator. Brussels sprouts will be at their best within the first few days, but depending on how fresh they are, they can last as long as a few weeks in the fridge. Wash Brussels sprouts in cold running water and pat them dry. Trim the stem end of Brussels sprouts and remove any loose, yellowing or shriveled leaves. If your Brussels sprouts aren’t all the same size, halve or quarter larger ones so they’ll cook evenly.